Alfred Edmond Jr. is Senior Vice President/Chief Content Officer of Black Enterprise. He is a content leader, brand representative and expert resource for all platforms under Black Enterprise. Edmond is responsible for overseeing editorial/content policies, enforcing quality standards for major franchises and company partnerships including BlackEnterprise.com; Black Enterprise Magazine; events such as the Black Enterprise Entrepreneurs Conference and the Women of Power Summit; and the television show Our World with Black Enterprise. Prior to accepting his current position, Edmond was Sr. VP/Multimedia Editor-at-Large of Black Enterprise, overseeing content and circulation marketing for the company, while also providing brand and content leadership across media platforms. From 2008 through 2010, Edmond held the position of senior vice president/editor-in-chief of BlackEnterprise.com, responsible for the development of the Website’s content, as well as the hiring and overall supervision of the editorial staff. In this position, Edmond played an important leadership role in the transition of Black Enterprise from print magazine publisher to a digital-first multimedia content company. From 2000 through 2008, Edmond held the position of senior vice president/editor-in-chief of Black Enterprise magazine. 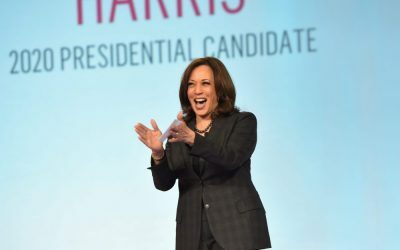 During his tenure as chief editor of Black Enterprise (beginning in 1995 when he was named executive editor), the magazine’s circulation more than doubled to a rate base of 525,000 for 2008. In addition, the magazine earned nine Folio: Editorial Excellence (Eddie) Awards in the business/finance consumer magazines category, a Griot Award from the New York Association of Black Journalists, and more than a dozen other editorial and design awards under his leadership. An award-winning reporter and editor, he has been recognized by TJFR Business News Reporter as one of America’s 100 Most Influential Financial Journalists and was named to the Folio: 40 list of the most influential people in the magazine industry by Folio: Magazine in 2007. Edmond appears regularly on television and nationally syndicated radio, including serving as host of WVON 1690 Chicago’s The Urban Business Roundtable weekly radio show (2010-2012); host of Money Matters, a daily radio feature syndicated by American Urban Radio Networks; commentator on PBS’ Nightly Business Report; contributor to American Express OPEN Forum and The Doug Banks Show radio program; and guest expert on MSNBC’s Your Business and CNN. A nationally recognized expert on business and economic trends, Edmond is a highly sought-after public speaker and moderator. 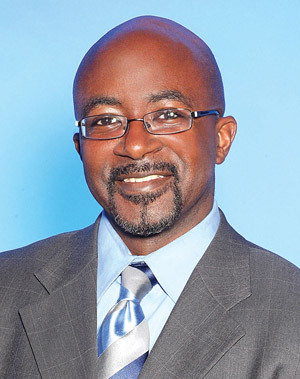 He is also an influential thought leader on several social media platforms including Twitter (http://twitter.com/alfrededmondjr) and Facebook (http://facebook.com/alfrededmondjr). Together with his partner, personal growth expert and individuality advocate Zara D. Green, Edmond leads A2Z Personal Growth Enterprises, producer of the Grown Zone multimedia initiative, including co-hosting the weekly Grown Zone Radio Show (BlogTalkRadio.com/GrownZone). Edmond is a member and former board member of the American Society of Magazine Editors (ASME), and has served as a screener for ASME’s National Magazine (Ellie) Awards for more than a decade, including several years as a judging leader. 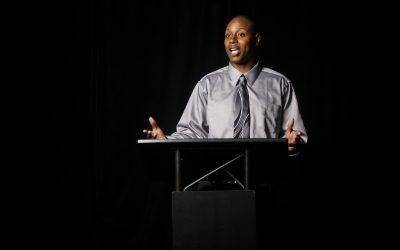 He is a member of the National Association of Black Journalists (NABJ), a lifetime member of the New York Association of Black Journalists (NYABJ) and the Rutgers University Alumni Association, and a lifetime and founding member of the Rutgers African-American Alumni Alliance (RAAA). He is also a charter member of the NABJ Business Writers Task Force. Before joining Black Enterprise as an associate editor in 1987, Edmond served as the senior editor of MBM/Modern Black Men Magazine (1986) and as an associate editor for the Daily Challenge (1985). He was also the managing editor of Big Red News (1983-1985, now the New York Beacon), a weekly, black newspaper in Brooklyn, New York. Invest in your child’s future career by allowing your child to attend work with you this National Take Our Daughters and Sons to Work Day. 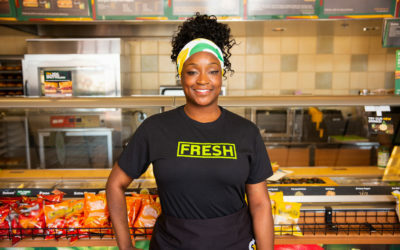 Kiesha Haggerty, a native of Oakland, CA and 20-year veteran with the Oakland Police Department, invested in her first Subway franchise. Critics of PACs believe that these committees create an unfair advantage to incumbents, weakens the political influence of the everyday citizen. 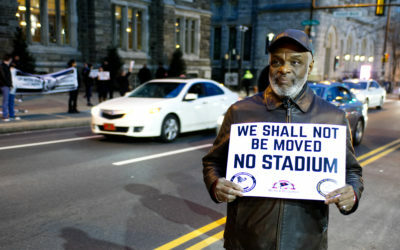 Capitalism, economic development, and gentrification. Some people revere them as driving forces that keep America as a world leader; while others suffer.